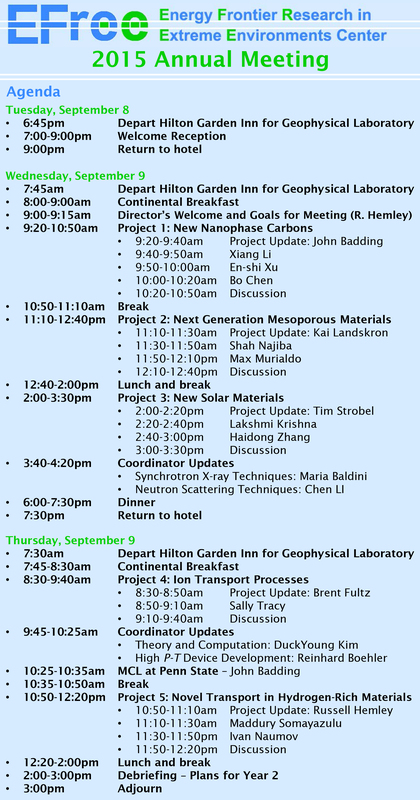 The 2015 EFree Annual Meeting was held at the Geophysical Laboratory from September 8-10. 20 talks were presented by EFree University Partners, Technical Coordinators, Students, and Postdocs over the course of the meeting. 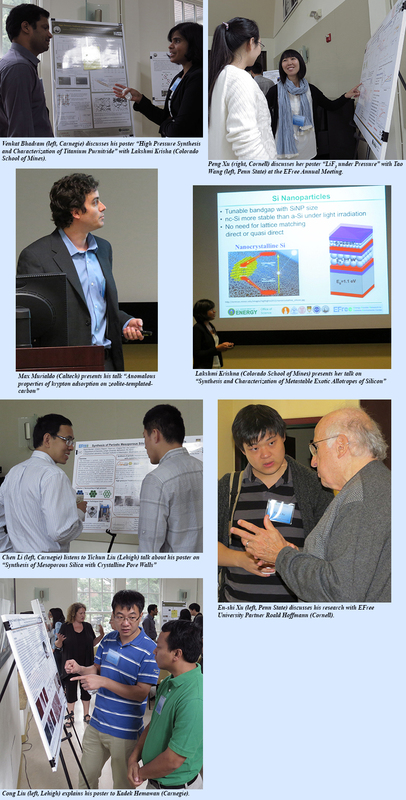 In addition, many of the Students and Postdocs presented posters on the final day.